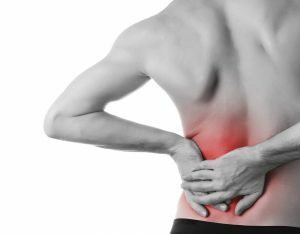 What factors affect the success of back surgery? If your doctor has recommended back surgery for chronic back pain, your next step should be to learn about the factors that may affect the outcome of your surgery. Understanding the potential risks and benefits of surgery and what you can do to increase the likelihood of a positive outcome are the keys to making an informed decision. Is surgery the most appropriate treatment for your condition? For the majority of people with chronic back pain, surgery should not be the first treatment. There are a number of different non-surgical treatments, such as physical therapy, pain relievers, lifestyle changes such as losing weight and exercising, and injections, that you should try before choosing to undergo surgery. If your doctor, recommends surgery, getting a second opinion from another spine specialist can help you learn about all your treatment options and determine whether surgery is appropriate for you. How experienced is your surgeon? If you decide that surgery is the most appropriate approach, the outcome of your surgery can be affected by the experience and skill of your surgeon and the hospital where the surgery is performed. Ask your surgeon whether he or she is fellowship trained and board certified. Fellowship training means that in addition to an orthopedic or neurosurgery residency, the surgeon has completed a fellowship program in spine surgery that includes at least one additional year of training. You should also ask how often he or she performs the procedure and what his or her success and complication rates are for the specific surgery you’ll undergo. In addition, find out how often the procedure is performed at the medical center you’ve chosen and what the center’s complication rates are for this type of surgery. How long have you been experiencing chronic back pain? Depending on what is causing your back pain, a longer history of back problems may affect how successful your surgery is. Often, when one part of the spine deteriorates, that deterioration can stress or weaken other parts of the spine. That may mean that there is a higher risk of your back pain returning after surgery because other areas of the spine have been stressed and damaged. Could your lifestyle affect the success of your back surgery? Researchers have linked being overweight or obese with an increased risk of poorer outcomes for back surgery. Some studies have found that infection and reoperation rates were higher for people who were overweight or obese. Other studies found that while both normal weight and overweight people experienced less back pain after surgery, the pain was more likely to return for the overweight patients, most likely because the excess weight continues to strain the spine and other joints. Smoking is another factor that can affect the outcome of your back surgery. Nicotine and other chemicals in cigarettes may inhibit bone regrowth, which is essential after spinal fusion surgery. Smoking also increases inflammation in the body, which can increase your risk of having post-operative complications.